A team of researchers and locals are working to establish a community-based water quality monitoring program to measure the impacts of development on wetlands and water quality near Fort Good Hope. The morning starts like any other for the local environmental monitors in Fort Good Hope, N.W.T. — laid out across the storage room floor are boxes of clear glass bottles, GPS units, batteries, and an array of equipment that at first glance looks like something from a sci-fi movie. Environmental monitors from Fort Good Hope are joined by an Environment and Climate Change Canada researcher to do water sampling from local wetlands in the Ts'ude niline Tu'eyeta (Ramparts River and Wetland) area. "We are always trying to figure out ways to ensure safe drinking water," says Danny Masuzumi, a Fort Good Hope resident and environmental monitor on the project. "The results we get are beneficial because we have something to work with to do negotiations [with companies from industry]." 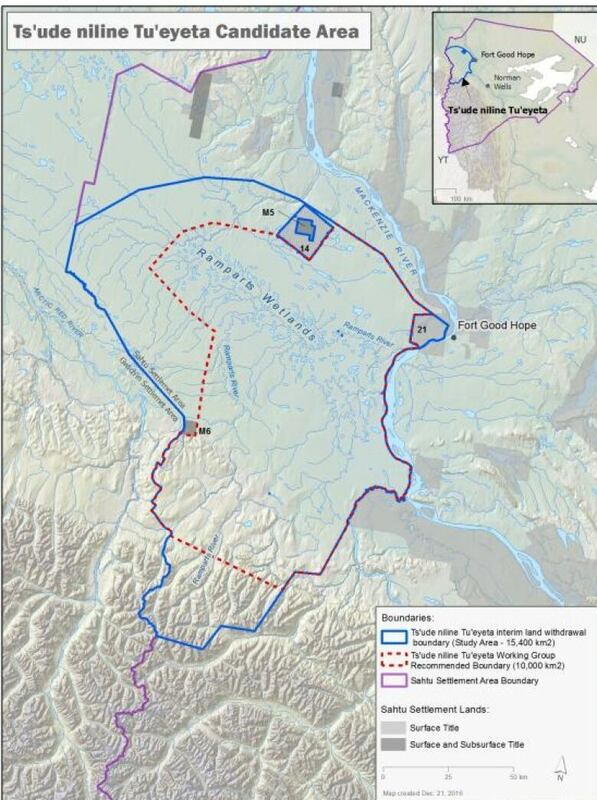 The area lies west of the Mackenzie River and the community of Fort Good Hope. It is an important place for trapping, hunting and fishing and has many cultural, historical and burial sites. The region is also rich with natural resources and has the potential for oil and gas development. The team is working to establish a community-based water quality monitoring program to measure the impacts of human activities on wetlands and water quality near Fort Good Hope. "We have the data to back it up if [industrial activities] are disturbing the land," says Masuzumi. The idea for the project emerged from a forum in Tulita in 2016, called Living On the Land, which provided an opportunity for Sahtu communities to meet with researchers to discuss research findings, needs, and plans moving forward to ensure a collaborative process with locals. "Relationships come through being there," said Kirsty Gurney, a researcher with Environment and Climate Change Canada. "Science doesn't happen on its own, you have to build this foundation … Science only succeeds when we have long term buy-in from the community." 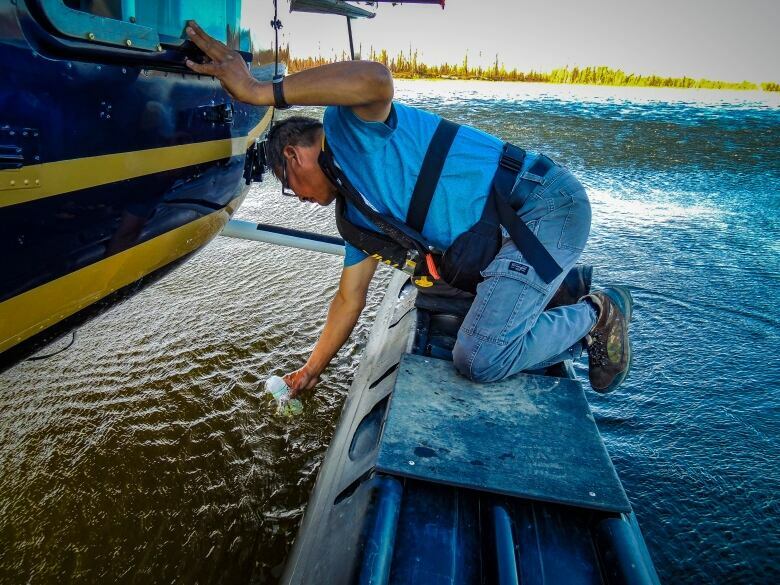 The work is funded through a three-year Government of the Northwest Territories project, called the Cumulative Impact Monitoring Program. The results will be used to understand and mitigate the potential impacts of resource development on the environment. "By getting in early, ahead of development, we can identify what a system looks like before any human-induced disturbance," said Gurney. There is concern throughout the area that development may negatively affect the health of the land. "A lot of the people, myself included, have been using the area for as long as we can remember, and water is our cultural food," said John Tobac, another Fort Good Hope resident and environmental monitor. "And so, one of the things we want to see is that it is as pure as it can be." This summer, the research team has been testing water for the presence of heavy metals and looking at the health of aquatic insects. They are also working to develop protocols for continued monitoring for years to come, which will allow the community to know if water quality begins to decline. Through his involvement in the project, Masuzumi says he has been able to share his knowledge of the region and further his own learning. He hopes he may inspire others in the community to do the same. "As an environmental monitor, I broke the ice for other environmental monitors, to show them how they can do it and further their education," he said. The research team also worked with students at the Chief T'Selehye School in Fort Good Hope last summer, to teach them about the role of wetlands in maintaining water quality. 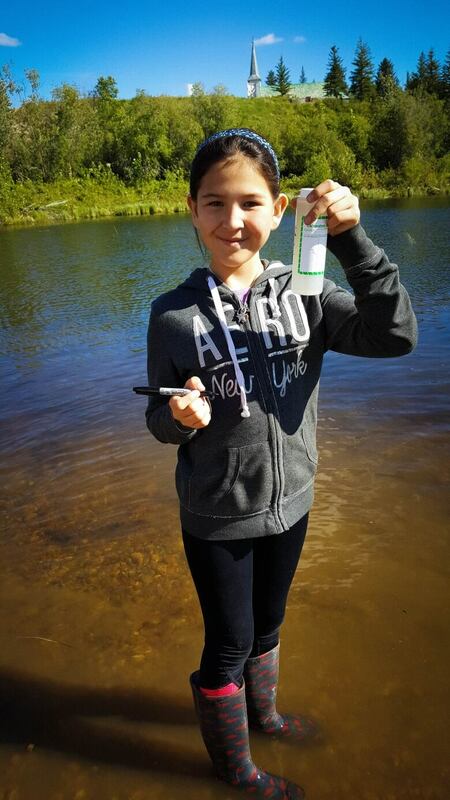 On a class trip to a local wetland, the environmental monitors and research scientists taught students how to collect water samples and identify insects. "A year later and all the students still remember [their visit] and the bugs they collected," says Gillian MacInnes, a teacher at the school. The project is an example of community-owned research. With the training and knowledge the environmental monitors have, and the support of Gurney and her team, Tobac, Masuzumi and community members will be able to monitor water quality in the region for years to come. "It is going great and I look forward to continuing doing the research up there so we can assure community members that things are being fine," said Tobac. "I am glad to do that as a local." A previous version of this story incorrectly identified Evon Jackson as Yvonne Kakfwi. 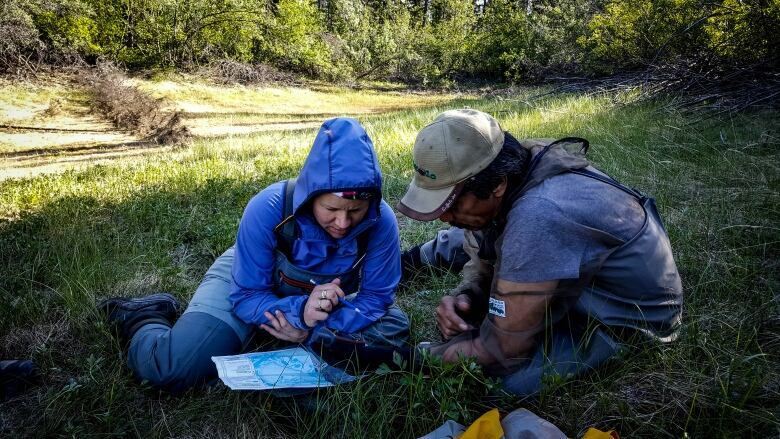 Carolyn Gibson is a PhD student studying the causes and consequences of permafrost thaw for northern communities and ecosystems. She is passionate about sharing the incredible stories of collaborative science efforts that integrate traditional and western ways of knowing.